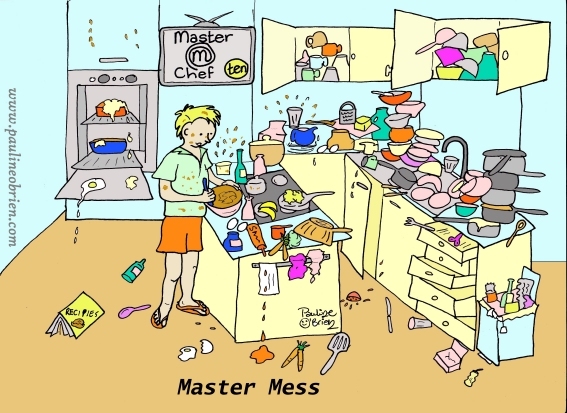 My kitchen often looks this messy! It’s not this stylish though- I dont have a wall oven or a TV in mine. My family all help to keep it looking this creative. When the habit of looking in mirrors can be really helpful.